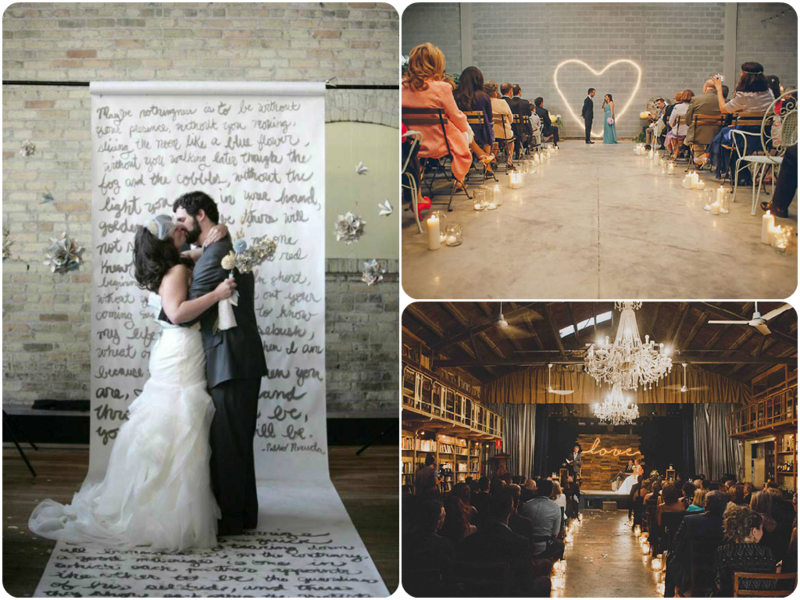 Who said that civil weddings are bland, short and boring? You already know that with Panateneas the scripts are never boring, but today we are going to talk about decoration. Paradoxically, in civil weddings the religious scheme has been reproduced by placing the master of ceremonies behind a table we call an altar. 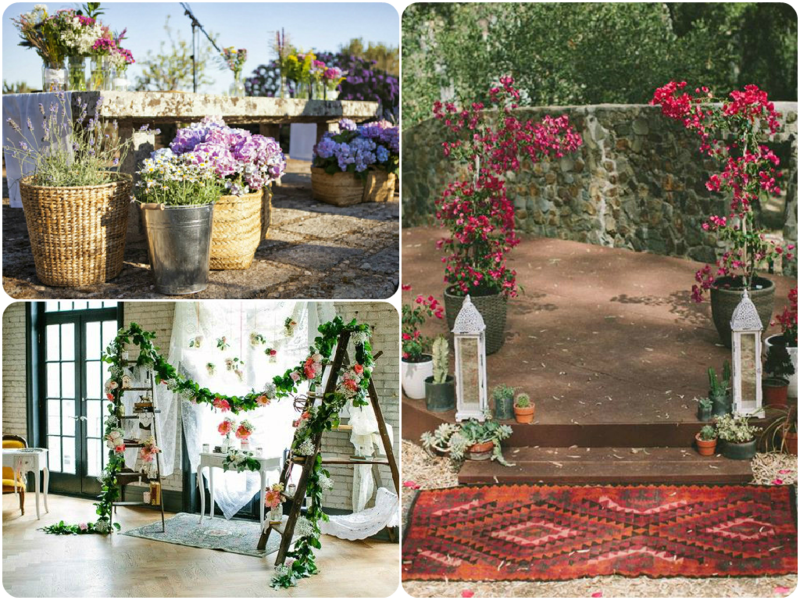 Although it is altar, table, lectern, stage, pergola or whatever you want to call it, there are endless decorative possibilities. So far, the most common has been the decoration of tables with floral elements, although increasingly compositions are made using other pieces such as candles, garlands or carpets. 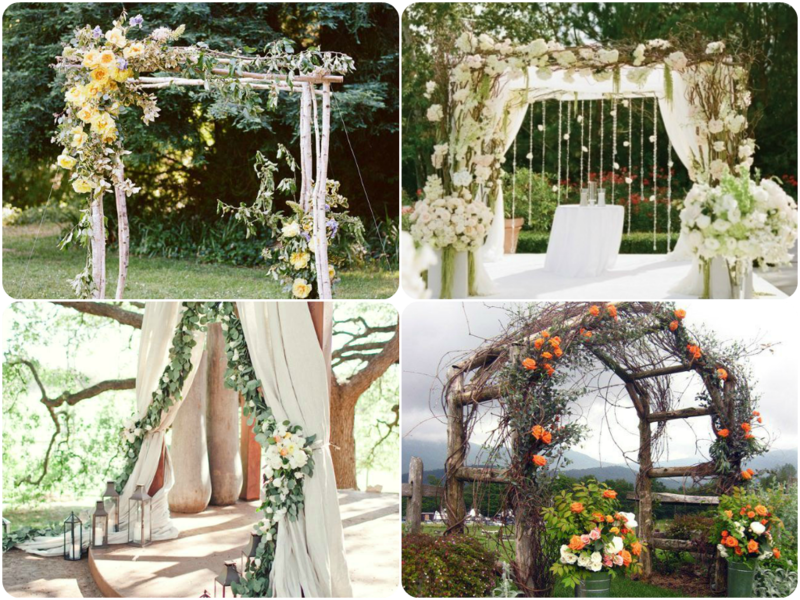 And the classic arches decorated with flowers, fruits or curtains. 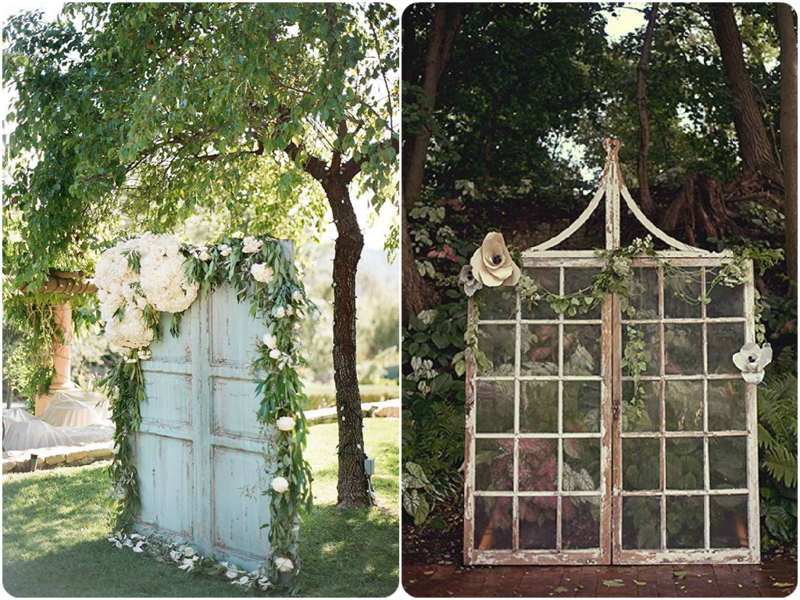 Although lately it has become fashionable to use antique furniture, such as doors or windows, in the purest vintage style. 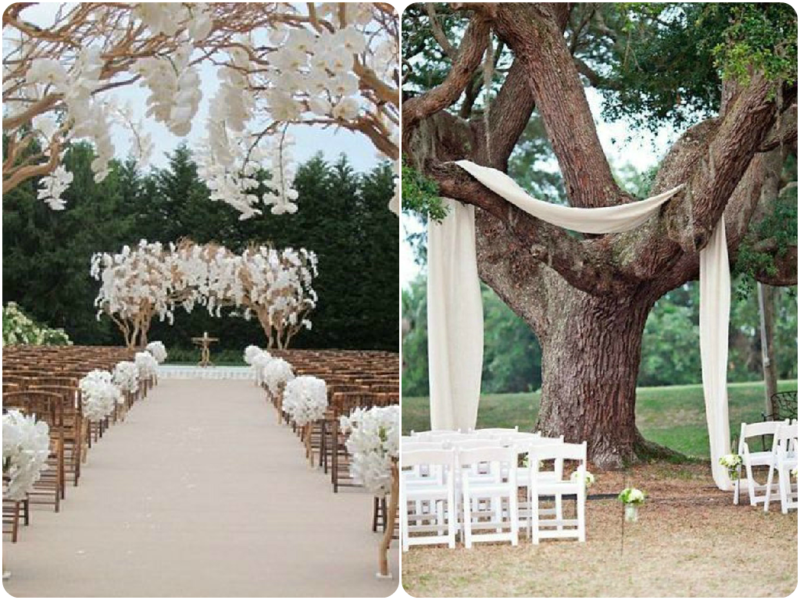 Or take advantage of simple dry branches or the charm of a centennial tree to give yourself the Yes I do. But if what you are looking for is to make a difference, here are some examples: wooden constructions, open spaces with lights and candles as the only elements, or panels with that text that has marked your story. What else comes to you mind?